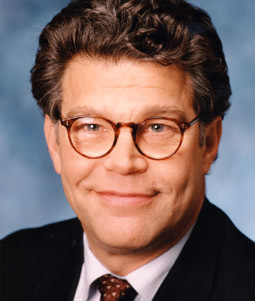 Meetings with reps of Sens Klobuchar and Franken, say what? Working for two congresspersons last summer gave me a great perspective on all the work involved in hearing constituent concerns in a congressional seat. Last Thursday I was on the other side. With our friend Reed Aronow, some SoS-TC folks and I met with aides from Senator Klobuchar and Senator Franken’s Twin Cities offices. Reed organized these two meetings through Show Me Democracy and invited us along. Politics has always been one of my passions, and it was energizing to be a constituent, to actually get the chance to argue for what I believed was just. Instead of listening to other peoples’ opinions, I had the chance to voice mine. First, we met with Leslie Kandaras, Senator Klobuchar’s aide. Standing outside the office, waiting for the others to arrive, going over who was to say what, writing and illustrating our large poster-board letter, I couldn’t help but be excited and also nervous. Thankfully, Leslie was very supportive of our organization and resonated with all our policy requests. The meeting was rather spontaneous, and many of the speaking roles were decided at the last minute. That worked to our advantage, keeping the conversation genuine and organic. We hit home and were able to go through every point we wanted with time to spare. Running off of the energy from our successful meeting with Ms. Kandaras, much of the group went to meet with an aide from Senator Franken’s office, Charlie Poster. Charlie seemed like a pretty shrewd guy and questioned most policy suggestions we threw out. While not supportive per se, Charlie provided much needed discussion on these issues. In the end, we did not falter, though his challenging questions threw us off of our intended order, forcing us to improvise. It was fun being pushed a little, and in the end, we pushed back on Senator Franken, asking him to champion, not just support, several environmental measures. Reduce subsidies for industrial-grade corn and soy, and reallocate that money to subsidize local, organic small-scale agriculture. Tie subsidy payments to acres farmed instead of bushels yielded. Support the Feinstein bill, which would extend the 30% investment tax credit to renewable energy manufacturing. Support PACE and overrule Fannie Mae and Freddie Mac’s rejection of it. Champion a National Complete Streets bill like the one recently signed into Minnesota state law. 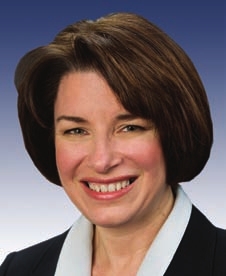 It was a great experience and I hope that Klobuchar and Franken step up as leaders in the ensuing energy, agriculture, and climate debates in the Senate. This post written by David Isenberg, a Summer of Solutions Twin Cities participant.